COMFY SOFT VELVET – These socks not only look fantastic, but will also keep your feet toasty warm. DON’T LET YOUR FEET GO COLD WHILE ENJOYING A GIN & TONIC!!! Miana Creation’s gin socks will keep your feet warm while adding a touch of humour. 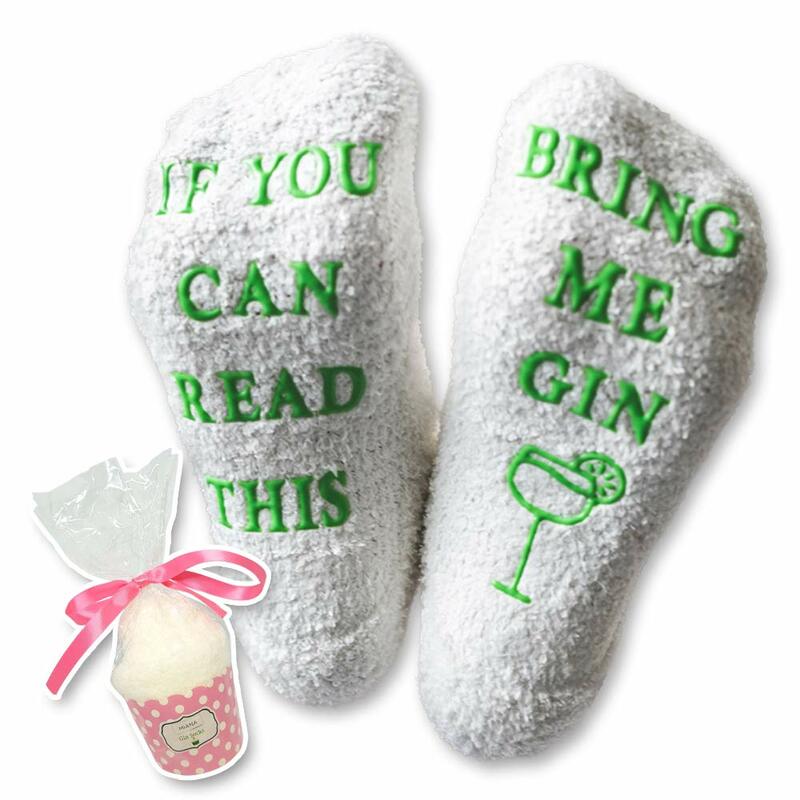 Everyone will love these funny and original gin socks that will keep your feet in a good place. These gin socks can be used on almost all average sizes (UK 4-10). Get these awesome gin socks today and get ready to receive tons of compliments and continue enjoying your favourite gin! ► STAY WARM: These wine socks will prevent your feet from going cold by adjusting tight to your feet. ► WASHABLE: Hand-wash or throw them in the washing machine with like colours as many times as you need. ► UNIQUE GIFT IDEA: We all have visited a friend carrying a bottle of alcohol of some sort… imagine adding these funny Gin socks to that bottle? No doubt your gift will stand out amongst all other gifts! ► SATISFACTION GUARANTEED: If you’re not happy with your order for any reason, we’ll give your money back! BUY IT ONCE, HAVE IT FOREVER… GET YOURS NOW; JUST CLICK “ADD TO BASKET” TO ORDER!!! PERFECT PRESENT – Funny gift for yourself, friends and family or for all sorts of occasions: holidays, anniversaries, birthdays you name it. This pair can be used as sport socks, trampoline socks or funny socks. Pop these on when going to any social event. This would be a great gift for 18th birthday, drinking games, secret Santa, Grandma Gifts, Grandpa Gifts, best friend gifts, Christmas or any other. Essential Gin gift. 100% MONEY-BACK GUARANTEE – Our Socks are backed by our 100% money back guarantee. If you are unhappy for any reason, we will immediately issue a full refund.